Stex Fitness EU ist the Exclusive Distributor for the Netherlands as well as fort he German Market. Wanna find out how to create your own profit centre within your Site…..contact our Sales Staff for a tailormade solution. Instantly upgrade from “massage treatment” to “fully interactive massage experience”. The 350 Series sets the standard in performance and technology, and is recognized around the world as the best equipped hydro massage system to meet the needs of any business. Best suited to help increase guest traffic and retention rates. Smooth Wave Travelling Massage. After designing, engineering, and manufacturing over 15 generations of water massage systems since 1989, the smooth wave massage is consistently the most preferred system by users. Travelling jets move up and down the body with wave-like streams of heated water, allowing users to select the exact points where they would like to concentrate the massage (1-30), select the desired massage pressure (10 levels), adjust the speed (4 settings), and even hold the massage in any given area. Open Bed-Style Design. 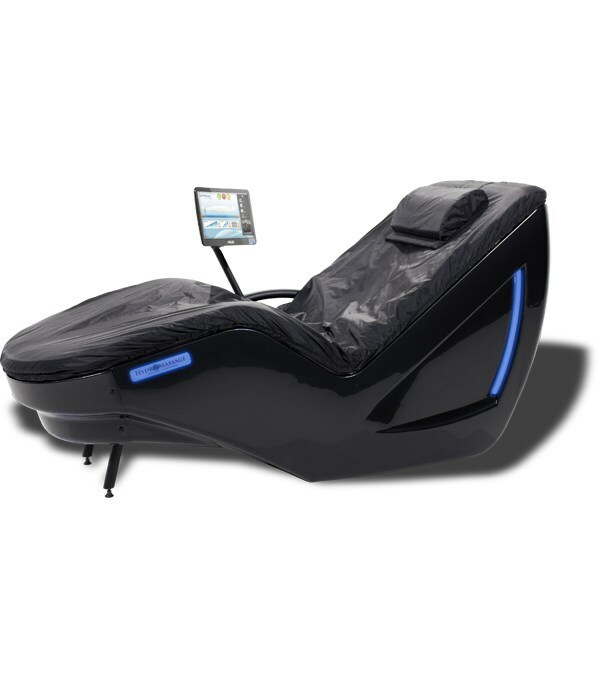 The HydroMassage 340 / 350 models give users complete flexibility and comfort with a relaxing, spa-like massage experience. Whether lying supine to massage the back, hamstrings, and calves, or lying prone to massage the chest and quads, don’t be surprised if you find your members / clients asleep after 10-minutes from complete and total relaxation. Tip: Try massaging the bottom of the feet after a long day! Water through Air Technology. During the massage, the user rests comfortably above the water level, providing stabilization and delivery of maximum potential massage pressure. HydroMassage Touchscreen. Allowing complete personalization and real-time adjustment of the massage, the HydroMassage Touchscreen is the most technologically advanced water massage interface on the market. Multimedia Content Library. While some users prefer to close their eyes and relax, others may enhance the massage experience with relaxation videos, music, wellness articles, games, e-books, and internet access if desired. Preset Massage Programs. Users may select from a range of pre-programmed massages or create and save their own perfect massage. LED Lighting Panel Package. The LED panel lighting system can be adjusted at any time to coordinate with your room décor or color schemes. HydroMassage Desktop Software. Want to regulate usage of HydroMassage to those paying for a HydroMassage session or membership? Proprietary HydroMassage Desktop Software connects HydroMassage to your front desk computer and gives your staff control to activate HydroMassage. Member Management Software. Are your HydroMassage units unattended? Member Management Software provides the capability to set-up individual user accounts, and requires users to enter a 6-9 digit code before HydroMassage can be activated. HydroMassage is also external timer, token system, and currency acceptor compatible. Remote Technical Support. If given permission, our Technical Support Team can access your unit remotely from our corporate headquarters in Tampa Bay to help troubleshoot any issues or update your software. Self-Diagnostic. HydroMassage runs diagnostic tests to alert you to any potential software or operational issues with a unique code which assists our Technical Support Team with the resolution. Promotional Window. Would you like to promote other products or services to your clients / members while they’re getting a massage? The HydroMassage Promotional Window displays your advertisement in the lower right-hand corner of the Touchscreen, and can display up to 10 offers at once. External Cooling System (350 Models) Provides peace of mind for continuous usage without overheating in small, private rooms. Internal Cooling System (340 Models) Best and most streamlined fit for large open areas with plenty of cool air flow. Cooling system may be installed up to 25 feet away (may be installed in ceiling, basement, or adjacent room that stays between 45 – 100 degrees F, or 7 – 38C).